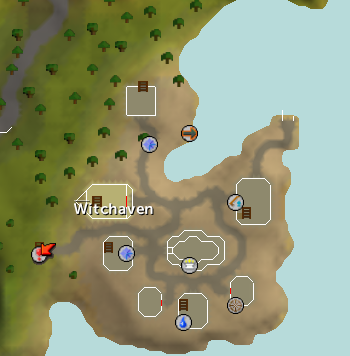 The town of Witchaven, which is located just south of the Legend's Guild and east of East Ardougne, blames the Fishing Platform for most of their troubles as it was once a great Fishing town, but became poor because of the Platform's competition. Mayor Hobb is the mayor of Witchaven, and he is in charge of the village. After completing the Salt in the Wound quest, Mayor Hobb will return to Witchaven and be healthy-looking, as he will no longer be posessed by Sea Slugs. The upstairs section of his house is probably the nicest part of Witchaven. 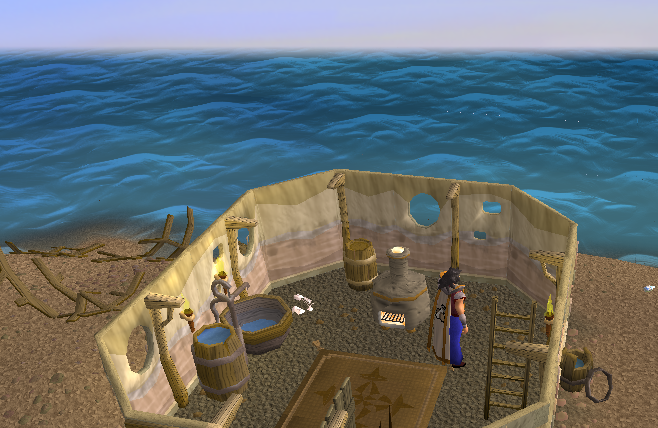 Brother Maledict is in charge of the Temple to Saradomin. 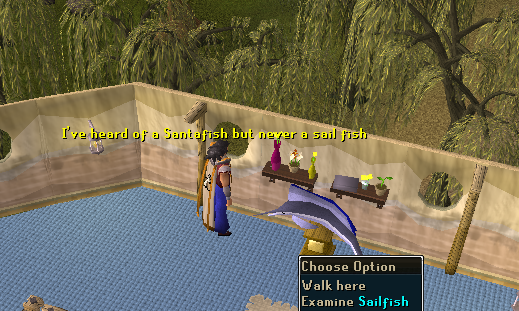 Like Mayor Hobb, Brother Maledict will return to the town healthy-looking after completing the Salt in the Wound quest. 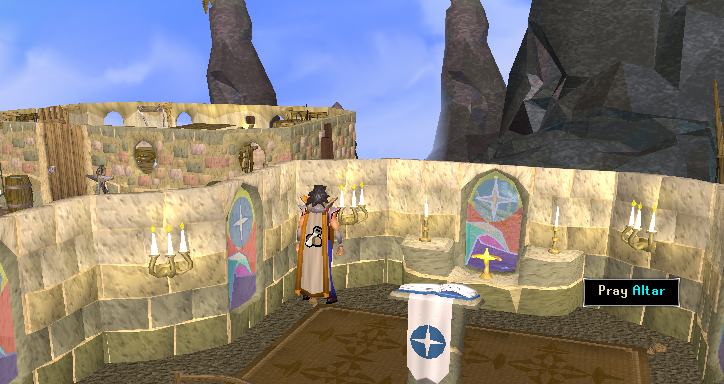 The temple itself is very dedicated to Saradomin, with pictures, a lectern, and a shrine inside. Ezekial Lovecraft is the supplier of fishing gear in the town and runs the Fishing Shop. Colonel o'Niall is a strange man at the end of the fishing dock who you would assume to be a Colonel of the Black Knights after talking to him, or possibly a White Knight; it is hard to tell. Colonel o'Niall will tell you some odd sayings, as well as talk about Solus Dellegar, if you have finished the Wanted! Quest, that is. You will also find out once you have started the Slug Menace Quest that he is a retired Colonel of the Temple Knights. Caroline's husband fishes at the Fishing Platform, and around her you can also find Holgart whom will take you to the Fishing Platform and Jeb who will just say "hello". 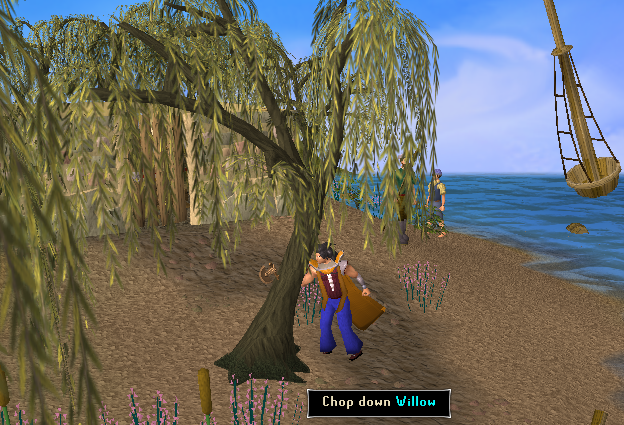 Near Caroline, Jeb, and Holgart starts a line of willow trees that can be useful for woodcutting, located on the northern side Witchaven. In the southern section of the town there is a house with a Wash Basin and a Clay Oven which you can use for crafting. 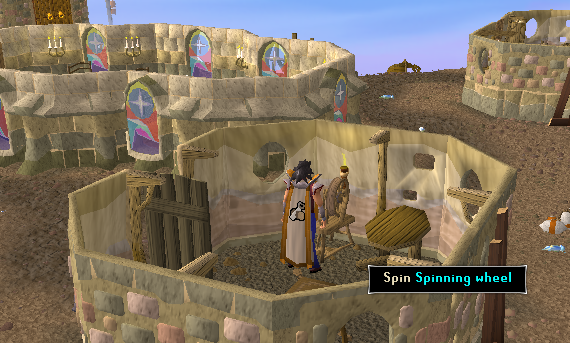 And nearby is also a Spinning Wheel. Once you have completed the Slug Menace Quest, Colonel o'Niall, Mayor Hobbs, and Brother Maledict will vanish from the town.